Ever wonder how celebrities manage to perfect their svelte figures just in time for filming or right after a pregnancy? Chris Pratt, the star of Guardians of the Galaxy, lost 60 pounds to get in shape for the film with the help of a nutritionist. The services of a nutritionist are also sought after by other celebrities like power couple Kim Kardashian and Kanye West. He crafts a suitable meal plan for their busy schedules and trains them to eat healthier. With these big names depending on nutritionists, I wouldn’t blame you for thinking that having a health expert personalising your diet for you and advising you to eat healthier is a relative privilege that us regular people would never experience. I did too. 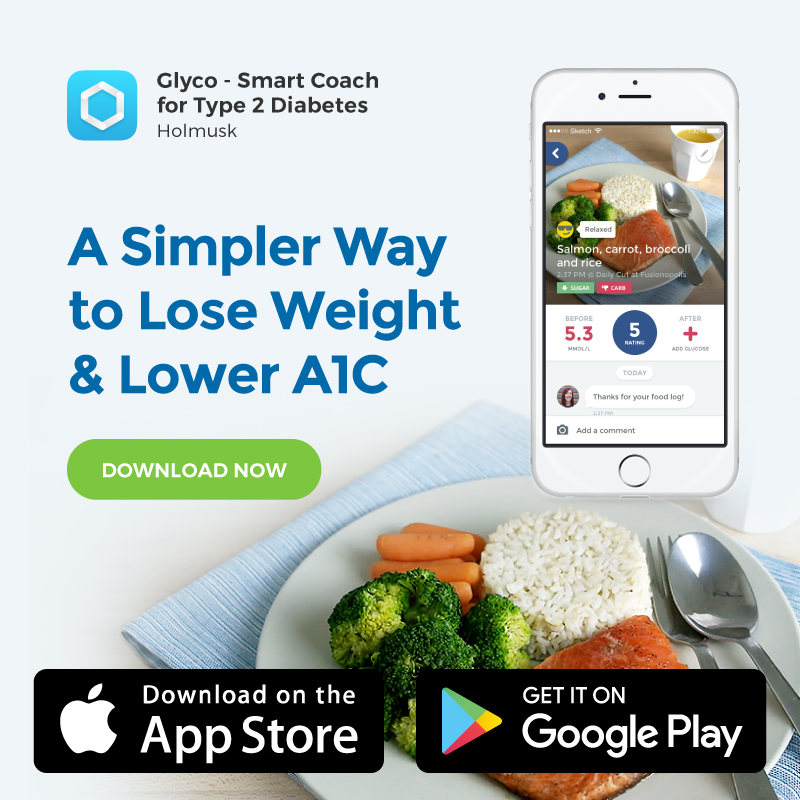 That’s why I was pretty amazed when I got to know about the “Ask A Coach” feature on GlycoLeap. 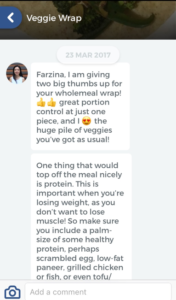 This meant that I could chat with a real-life qualified dietitian whenever I wanted right on my phone. One-on-one, personalised advice. On demand, almost every day (excluding Saturday evenings and Sundays). The whole concept seemed simply too good to be true at first. But as I found out, it’s exactly what it says on the tin. When you upload your food photos on the GlycoLeap app, they don’t just float aimlessly in the void. 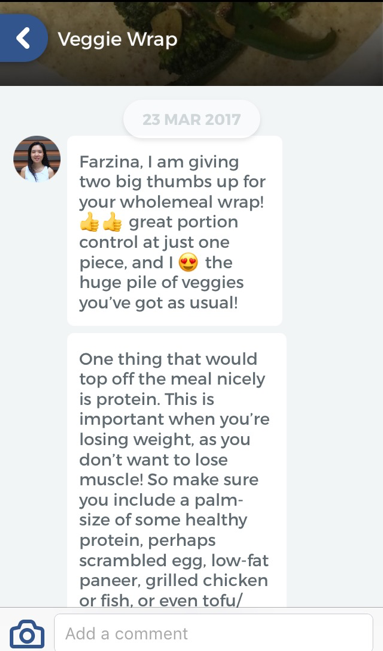 They’re instantly sent to the team of dietitians at GlycoLeap who later rate your food out of 5. The higher the score, the more nutritious the food is, and the more frequently you should consume it. 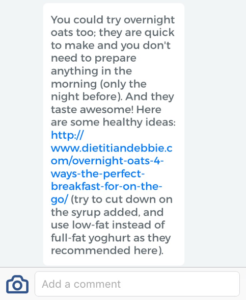 The dietitians also give you feedback based on the quality and content of carbs, proteins, fat, salt, sugar and fibre, as well as portion control. They also consider holistically whether a food is processed or wholesome, or the overall balance of your diet in meeting your energy, macro- and micro-nutrient requirements in relation to your health goals and physical activity levels. Guided by friendly and helpful dietitians every step of the way, I never felt alone on my journey to eat healthier. 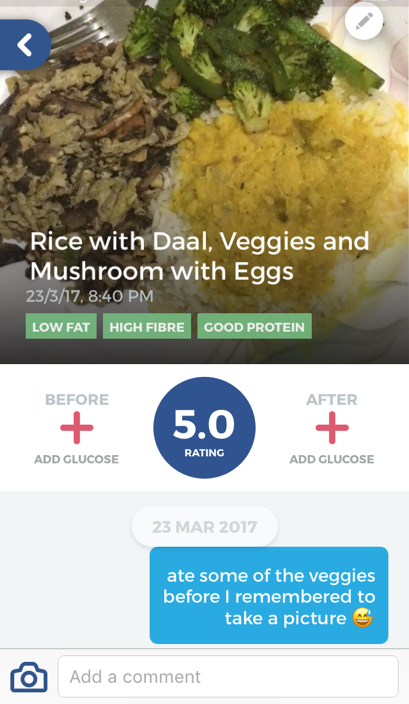 I was motivated to keep modifying my meals according to the feedback I received. 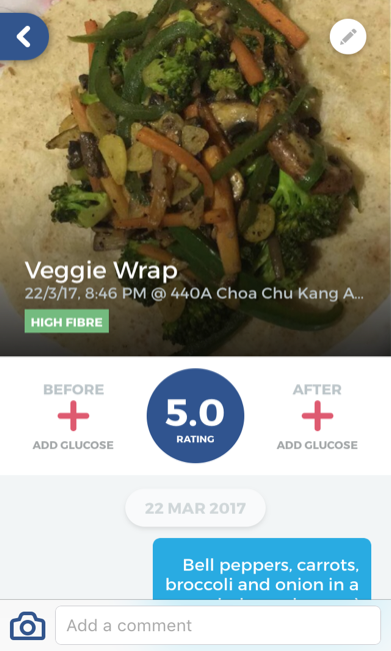 Here’s an example of the feedback on my veggie wrap dinner from one of the dedicated dietitians on GlycoLeap, Bonnie. It was my first time getting a 5.0 rating on a meal I had prepared and Bonnie’s highly encouraging remarks made me want to eat veggies all day, every day, just to please her. She also supplied me with some gems of information on how to make my meal more balanced with some great examples that I noted for next time. No more skimping on the proteins. Scrambled eggs, it is. Check out the “good protein” label on my next dinner! I’ve found that my interactions with the dietitians not only support me to continue the good decisions I already make, but also answer my burning questions to improve future food choices. We’ve all been in the situation where we stood staring at the rows upon rows of cereals at the supermarket, sweating over which cereal to buy. After a while of frantically trying to compare the nutritional values of my favourite cereals and making little progress, I decided to consult my dietitian about it on the spot. Needless to say, Bonnie’s advice swayed me to swap my usual cornflakes for an equally delicious but more nutritious whole grain cereal to enjoy every morning. 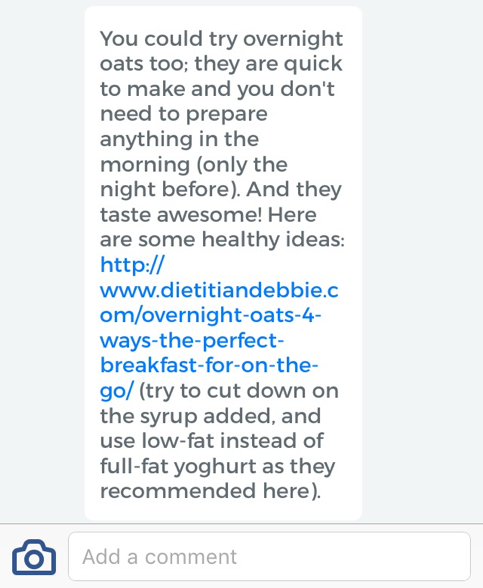 Catching on to the fact that I was especially clueless about healthy breakfast options and knowing that I was busy with my university workload, Bonnie also recommended me an even healthier, fuss-free breakfast solution, overnight oats. I had never heard of it before but was excited to try it. So I duly copied over the recipe into my Notes app for future reference. Turns out dietitians don’t merely tell you what to cut out in your diet, but more importantly, what wonderful and nutritious things can be added in! Getting excited about healthy food—that was something I never thought I’d be before. But conversing with dietitians who are so effervescent in their bid to expand your dietary horizons infuses you with the same enthusiasm over time. 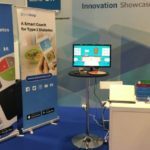 Wondering how to get the best out of the treasure trove of knowledge that is the team of dietitians at GlycoLeap and eat healthier? These are the three fundamental rules to go by. Besides the immediate benefits of logging meals through food photography, maintaining a consistent log is vital to keep receiving evaluations from dietitians. 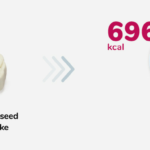 I didn’t start out logging the healthiest of meals (my idea of healthy was a grilled chicken wrap from McDonald’s), but with regular feedback, I was able to make incremental changes to what I ate. Strive to clear even your most seemingly insignificant doubts because they can turn out to be not so unimportant after all. 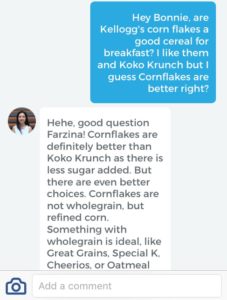 I felt a little silly asking my coach about the merits of cornflakes over Koko Krunch but the resulting conversation deeply impacted my understanding of breakfast nutrition. This is something you can’t get out of doing a Google search. 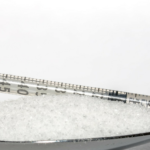 Another great way of sparking a potentially life-altering exchange is to review the lessons on the GlycoLeap website and ask questions that arise related to them. 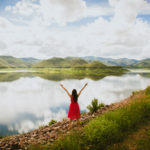 It’s easy to forget that, in the end, it’s up to you as an individual to enact the change you want to see in yourself. Compile the little adjustments that the dietitians recommend into a To-Do list. Then, set yourself the challenge to incorporate these into your next meals. 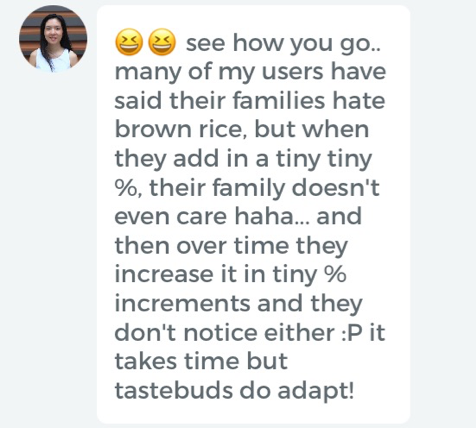 Her amusing response made me realise that my reason for not switching to brown rice wasn’t a problem at all. 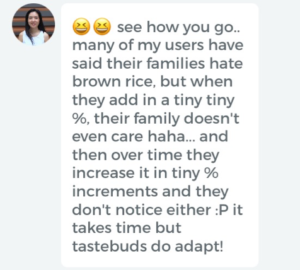 I began to sneak in brown rice little by little and now, my family is accustomed to a mix of half brown, half white rice. Now that I look back at it, that’s a huge accomplishment on my journey to eat healthier. Together with the tracking features and the lessons in GlycoLeap, support from dietitians make up the complete package that will transform your lifestyle. 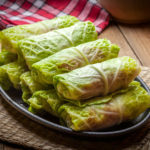 Cabbage Rolls Recipe – Just 35 minutes! Mooncake Calories Are More Than Laksa Calories? !